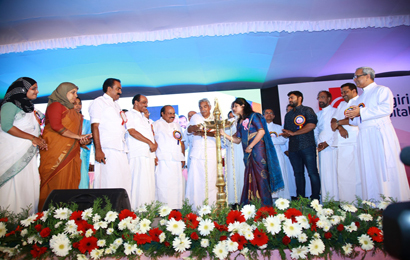 Alwaye : Rajagiri Hospital, an ambitious project of the Rajagiri (CMI) Group of institutions, was formally inaugurated by Chief Minister of Kerala Sri. Oommen Chandy today. His Beatitude Mar George Cardinal Alencherry, Major Arch Bishop of Ernakulam-Angamaly Arch Diocese presided over the function. 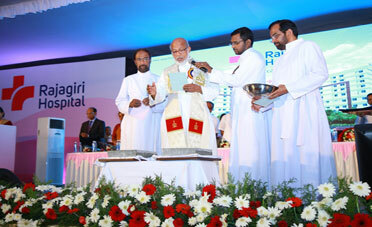 The foundation stone laying ceremony of the upcoming Rajagiri Medical College and the blessing of foundation stone of Rajagiri Retreat-the home for the Retired was done by Mar George Cardinal Alencherry. During his inaugural Speech C M said "Rajagiri has set High standards in education sector and is a role model for other institutions. Rajagiri Hospital can provide world class treatment facilities at affordable rates. 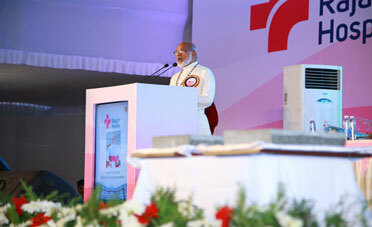 In his presidential address Mar George Cardinal Alenchery highlighted C M I congregations contributions in education sector. 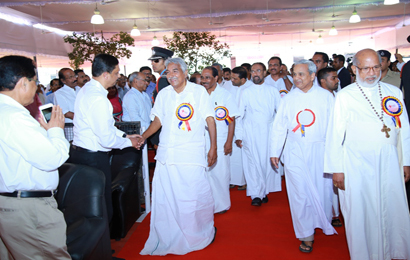 "Rajagiri Hospital should contribute more in medical Research filed and should be affordable to common man" he said. Executive Director & CEO Fr. 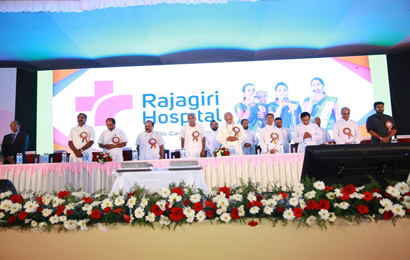 Johnson Vazhapilly CMI said that Rajagiri Hospital will redefine the concept of healthcare. Set in 40 acres of green landscape, the 550 bedded multi specialty tertiary care hospital features all modern medical services including diagnostic, therapeutic, curative, rehabilitative and preventive care all under one roof. Rev. Fr. Jose Cletus Plackal CMI Provincial welcomed the guests. Fr. 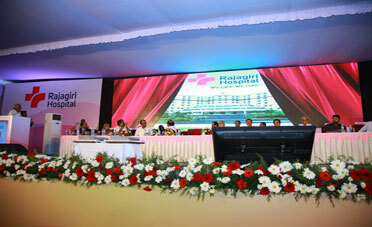 Johnson Vazhappilly CMI, Executive Director & CEO spoke about the highlights of Rajagiri Hospital and upcoming project. Rev. Fr. Paul Achandy CMI,Prior General delivered the benedictory message. Minister for Excise, Fisheries & Ports Sri. K. Babu, Minister for Public Works Sri. V.K. Ebrahim Kunju,Sri. Anwar Sadath MLA, Edathala Grama Panchayath President Smt. Sajitha Abbas, and South Indian Bank's MD & CEO Sri. V.G. Mathew offered Felicitations. Cine actor Sri. Nivin Pauly was the special guest. Fr. Jose Alex Oruthayappilly CMI, Chief Finance Director, proposed the vote of thanks.